The Neo-Black Movement of Africa (NBM) has started it's annual convention and has since discussed security at its 14th yearly lecture during the body’s 40th national convention holding from July 19 to 22, 2018 at Ijebu-Ode, Ogun State. Cognisant of the level of insecurity in the country, the Pan African group has chosen the theme of the lecture as The Role and Impact of Security in Nation Building. The organisation would also sensitise on the environment-friendly use of plastics in the state during the event. 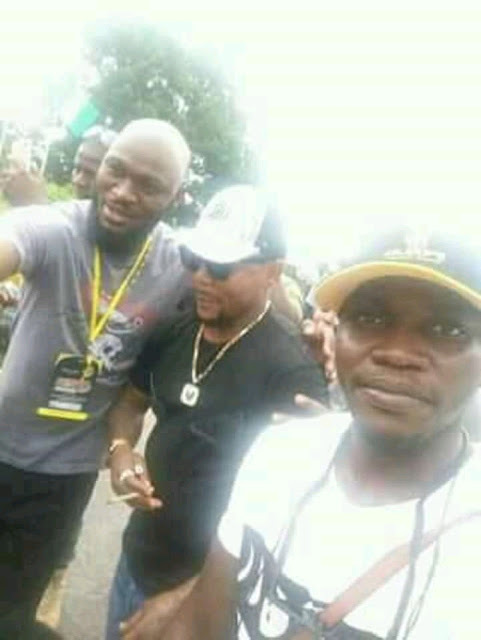 Spotted at the Occasion was popular Nigerian music artist, Oritsefemi along other celebrities including Hamzy. It can be recalled that Davido who is a popular member of the black axe fraternity was at the recently concluded Midwest regional summit organised by the group.